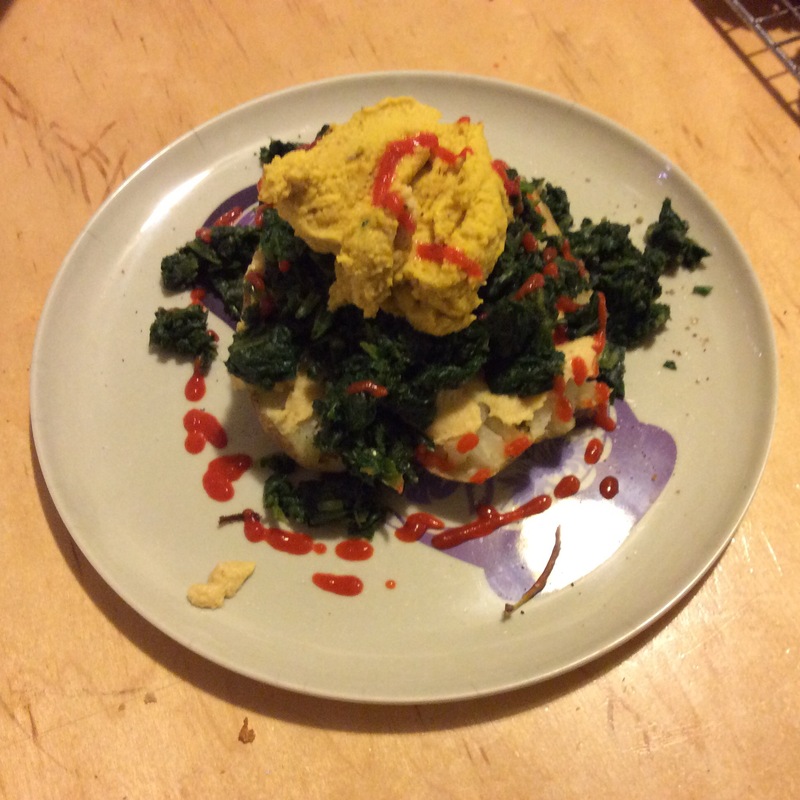 Just thought I’d share my favorite quick meal with you all: A baked potato (microwaved) topped with steamed spinach (from frozen, also microwaved), and a big scoop of hummus (this one is curry hummus). Topped with a drizzle of sriracha, this is an easy, tasty, healthy meal that anyone can enjoy. Cheap too!